As noted, the search warrants leading up to and used in the April 9 search of Michael Cohen have been partly unsealed. In this post, I want to lay out what we know about how the investigation into Cohen developed. On August 8, 2017, Mueller’s team got a warrant for Cohen’s iCloud account. On November 13, 2017, they got a warrant for activity associated with a business account, MCDPC, which was hosted by 1&1, as well as for Cohen’s Gmail account going back to June 1, 2015. On November 7, 2017 and January 4, 2018, Mueller got pen registers to obtain records of everyone Cohen was talking to in real time. While sorting through that evidence, they appear to have discovered more of the bank fraud associated with his taxi medallions. On February 2, 2018, Mueller provided SDNY a subset of content from Cohen’s iCloud. On February 8, 2018, Mueller referred some of the crimes they were investigating to SDNY, including the taxi medallion payments and other money laundering, and handed them a USB drive with the stuff obtained in those earlier email warrants (but not yet the iCloud one). That month, SDNY got some of the emails turned over as hard copies from third parties using a subpoena, and accessed the toll records for the emails. Before accessing the content, on February 16, 2018, SDNY got a d-order for header information for the two accounts handed over by Mueller. They also interviewed and acquired emails from a number of employees at Sterling, from whom Cohen was getting a loan. Then, on February 28, 2018, SDNY submitted affidavits to access the content handed over from Mueller and to obtain everything in the accounts from the interim period (that is, since November 14), as well as another Gmail and AOL account associated with the taxi medallion related bank fraud. This suggests that while they had found his Essential Consultants bank account and recognized that he was using it for things he hadn’t informed the bank about, they were not yet focusing on hush payments as an illegal campaign donation. On March 7, 2018, Mueller handed over the iCloud material to SDNY. In early April, SDNY started a slew of legal process leading up to its search of Cohen’s properties. According to the letter associated with this release, they got a warrant for out of jurisdiction materials on April 5 (reportedly for stuff held overseas). I’m still trying to find that in the attachments. Then, on April 7, 2018, it obtained a warrant to search the existing collection for material related to illegal campaign finance. Also on April 7, SDNY got a warrant for prospective and historical location data associated with Cohen’s AT&T phones for the periods from October 1, 2016 to November 8, 2016 and January 1, 2018 to present. The campaign finance crimes were the only ones specified in this warrant. On April 8, SDNY got a warrant for Cohen’s condo, office, safe deposit box, and hotel, as well as two iPhones. This covered all the crimes to which Cohen pled guilty in SDNY, as well as his sleazy influence peddling with BTA, KAI, AT&T, and Novartis, but not Columbus Nova (I’ll return to this). They also got a warrant to use a Stingray to figure out which room he was in at the hotel (like the location searches on his phone, this was just for his campaign finance crimes). Then, on April 9, they went back and got another warrant for the specific room at Loews hotel. In the materials from SDNY, some names are redacted. The biggest redactions (suggesting ongoing investigation) pertain to the campaign finance crimes, meaning Trump and Trump Organization are in trouble. There may also be redacted material associated with Cohen’s sleazy influence peddling. Crisp summary. Any hints the scope of hush money payments may extend beyond the 2 known cases? 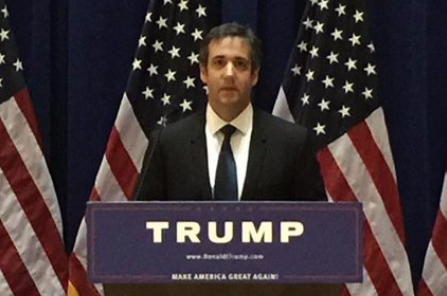 Was Cohen not charged with acting as an unregistered foreign agent and/or a FARA violation because of a lack of evidence or because of a timing issue? I admit that my ulterior motive in asking is my growing belief that this investigation is not headed toward charging any US citizen with conspiracy. Doesn’t Special Counsel’s investigation show all the signs of ending with a whimper? Why did they use a Stingray to find out where he was in the hotel? Why not ask the hotel or tail him? Were they being extra super cautious to avoid him being tipped off? StingRay stations aren’t very good at determining location, but can be used to tell if certain handsets are active within a particular region. This doesn’t require triangulation. It appears that they wanted to verify the presence of handsets that would then be physically secured by officers empowered by other warrants. If this is correct, they may have used StingRay location information simply to time a raid on Cohen when he was in possession of specific handsets. I suppose if the phones had different purposes that the agents knew about — one was work and one was personal, for instance — that might also be useful in figuring out what he was doing in different places. Stingray combined with vanilla GPS and other systems can be useful for establishing precise vertical location in a multifloor building. As mentioned previously the sweet spot is looking for individual phones in a zone. A press of other work! Thanks SO much, Punaise! Seals and Crofts were part of my teen years – brought back a flood of memories. Nicely done, btw! I can just hear that last line perfectly! They were terrific. Promise you will never ghost on us, punaise. Don’t know what I’d do, actually. Likely hide out in my workshop for a week, blasting Bush’s “Straight No Chaser,” and dodging the stink-eye from my spouse. That, a half-gallon of Jack, some spring water, and six bags of Hot Buffalo popcorn is what it would take to get over you. Too kind. BTW: sharing is caring! your “unSeals & Croft”, perfect! Kind, me? Never. I appreciate talent, wit, creativity, and intellect. And 12 bar blues, too. Dark? Bush? Ok, you got me there. Perhaps why I appreciate Bush, your work, and Wheel’s relentless spyglass and microscope reports on our present American crisis. You, punaise, along with the work of this blog and its larger community, help me keep hope in the face of our time’s particular and very ugly darkness. There’s grace in that. I merely recognize it. The Bush song has a quiet urgency to it: mostly solo guitar licks and rhythm, with some tasteful strings, supporting wistful if somewhat bleak vocals. I kept expecting it t to burgeon into a full- throated stadium rocker – like many of that era – but it held back. Oh, you. One for me? I am touched. This will be our secret, right? Toein’ the line may not make Mikey feel fine, but I’m pretty sure his mind will be the only place he’ll smell jasmine for quite some time. Many thanks for that delightful parody. The phone, the ping, the person in Prague? News from the (legal academic) front. Daughter punaisette is studying at Berkeley Law. Former Congressman Bob Barr (whom I vaguely thought had sort of semi-rehabilitated himself as an independent after his awful key roll in the Clinton impeachment) was invited by the local chapter of the Federalist Society to speak on campus today. Turns out he is deeply involved in NRA and is an apologist for gun violence. In the wake of the Christchurch massacre students peacefully protested his speech. First Amendment prevails, as it should. But still: no shame. Anyway, the Goldwater Institute is the major proponent of this “movement”. IMO, free speech should be place in that headline should be in quotation marks. Thanks Harpie. Here’s the original story in our local news source (which sometimes shares with SFGate). The comments get a bit spicy. As usual. the RWNJs fill the comment section with their nonsense. One thing that I have been curious about since the raids were announced that has never been explored in print (that I’m aware of) is why Cohen was living/working out of a hotel room. Maybe it’s a misread on my part. If the room was in DC then I suppose the question is moot, but my understanding is that the hotel room was in NYC, and Cohen lives in NYC, so why the staycation? The Cohens had a water leak in several rooms of their house. They all moved to a hotel 2 blocks away while the House was being repaired.